Sessions 2019 (5 days) will provide opportunities for college and graduate students to reflect and grapple with the 400-year anniversary of Black enslavement. Participants will dive into the world of Black oppression and struggle in America. The experience is designed to be thought provoking and a catalyst to inspire meaningful racial justice work. Sessions 2019 will include housing for 5 nights, all breakfasts, all lunches and three dinner meals (2 Dinners on your own). To bring: Sleeping bag, pillow, towel, shower shoes, toiletries, casual clothes, and one or two slightly dressy outfit. Please contact Wanda Kidd at asyougo5@aol.com for questions. Spiritual Care in the Midst of Crisis is a 2-day workshop, 16-hour training for clergy and laity who are interested in providing spiritual care to members of communities who are affected by crisis. The training will cover such topics as: the basics of crisis response; the ministry of presence; crisis intervention models; understanding the ministry of compassion; the basics of grief and loss; the role of spirituality in crisis intervention; principles for ministering amidst cultural and religious diversity, etc. The training will be facilitated by seasoned CBF Chaplains with extensive disaster chaplaincy training/experience. At the conclusion, those who fulfilled all 16 hours of the training will receive a certificate of completion. Lunch will be provided on both days. Cooperative Baptist Fellowship's Pan African Koinonia announces the 2019 Dr. Emmanuel McCall Racial Justice Trailblazer Award Dinner. The Award's dinner will recognize and celebrate CBF individuals and ministries who are trailblazers in the area of racial justice. The prestigious award will be given to two individuals and three ministries from the CBF community. As part of its support for CBF’s Emmanuel McCall Racial Justice and Leadership Initiative, the Eula Mae and John Baugh Foundation has helped make the Trailblazer Award dinner possible. Space is limited. Please contact Nicole McCoy at nmccoy@cbf.net for questions. The CBF Disaster Response Network Breakfast will bring together those representing all levels of CBF Disaster Response engagement. Reviewing recent disaster response efforts, both domestic and international, an update on the progress of the CBF Domestic Disaster Response Plan (2018-20) will also be provided. Additionally, input will be sought related to CBF's planned Disaster-Ready Congregation initiative. Please contact Rick Burnette at rburnette@cbf.net for questions. The CBF Collegiate Ministry Network will gather for fellowship, encouragement and sharing as we seek to strengthen our efforts to more effectively minister alongside college students. Any person who works with college or graduate students is welcome to participate. Please contact Wanda Kidd at wkidd@cbf.net for questions. The Advocacy Network in conjunction with the McCall Racial Justice Initiative will host an advance racial justice conversation in light of the 400 year anniversary of slavery in America. The discussion will involve the racial wealth gap and the role the church can play as a catalyst for equity. (This breakfast is an advanced conversation. If you are new to racial justice work, you may want to register for the McCall Racial Justice Breakfast for beginners.) Space is limited. Please contact John Marks Boes at jboes@cbf.net for questions. Join us for a presentation and small group “table talk” for those new to racial reconciliation and racial justice work. Space is limited. Please contact Nicole McCoy at nmccoy@cbf.net for questions. Luncheon celebrating all CBF endorsed chaplains, pastoral counselors, families, and friends. Please contact Carrol Wilson at cwilson@cbf.net for questions. Join us for the New Baptist Covenant Luncheon at 11:30 on Thursday, June 20, and hear about our work bringing Baptist churches of different ethnic and theological backgrounds together to build fellowship and work toward racial justice in their communities. Register on our website newbaptistcovenant.org beginning April 1. A photographer will be onsite to take your professional head shot. All are welcome to this free service provided to you by CBF Reference and Referral and CBF Young Baptists. The working session is an opportunity for the Coordinating Committee, Advisory Board, and general members of the Affirming Network of CBF to meet and work on goals and initiatives for the coming year. Celebrate Suzii Paynter’s leadership of the Cooperative Baptist Fellowship at a special Fellowship-wide dinner.  Leaders from across CBF life will speak to Suzii’s love of Cooperative Baptists and their congregations, and spotlight her impact through CBF’s advocacy work. Take a stroll through the Missions Night Market after worship on Thursday night. Interact with CBF Field Personnel & purchase items from around the world at this one-night only event developed by the field personnel themselves. Mercer University McAfee School of Theology Alumni and Friends will be gathering for a time of food and fellowship immediately following Thursday evening's worship - location TBA. For more information, go to theology.mercer.edu/programs-events or visit the McAfee booth at the General Assembly. Come and learn how to dance basic salsa with the pros and the Latino Network!. The Wake Forest School of Divinity invites you to a reception for alumni, friends, and attendees of the Cooperative Baptist Fellowship's General Assembly. All young Baptists are invited to attend CBF's annual Young Baptist social event. Meet with other CBF children's ministers (preschool, children, and/or family ministers) during this networking breakfast hosted by the CBF Children's Ministry Network. Come learn about the network and our ongoing commitment to nurturing faith in Christ in children and their families. Please contact Josh Speight at jspeight@cbf.net for questions. “¡Bienvenid@s!" You are part of #CBFamilia. If you are not a Latino by birth, this breakfast is an invitation to become part of FAMILIA. Open your heart and become Latino by ‘corazón’. Join us for breakfast as we listen and learn from our CBF field personnel and our Encourager Church partners. We will hear about incredible work around the world and how we as the church can partner with our field personnel to be a part of the exciting things God is doing through CBF. Are you a minister looking for a church? Are you on a pastor search team? Visit with CBF Manager of Reference and Referral for help navigating your search process well. 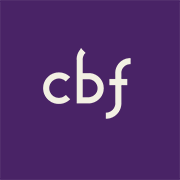 CBF Church Benefits welcomes members and guests to our complimentary luncheon. Our focus will be upon financial literacy, and our keynote speaker will be Dr. Bo Prosser, Director of CBF's Ministerial Excellence Initiative. Space is Limited. Please contact Joi Fitzgerald at jfitzgerald@cbf.net for questions. Join religious liberty supporters from across the country for the event on Friday, June 21, in Birmingham, Alabama. The event is open to the public, but you must have a ticket to attend. An award-winning faith and culture writer, Jonathan Merritt is a contributing writer for The Atlantic and The Week. He is the author of several books, including his newest book Learning to Speak God from Scratch. Known for his ability to tackle difficult issues through both the written and spoken word, Merritt is a sought-after speaker on cultural and religious issues. He holds a Master of Divinity from Southeastern Baptist Theological Seminary and a Master of Theology from Emory University Candler School of Theology. Don’t miss this important conversation about the language we use to talk about religious liberty, and get a preview of some of BJC’s plans for the future. Tickets are $50 for individuals, and tables of ten are available for $600, which includes a reserved table and recognition in the program. Students and young ministers can purchase tickets at a discounted price of $30 each. Tickets and additional details will be available beginning April 1. Visit our website page at BJConline.org/Luncheon for information. The Affirming Network of CBF dinner will be at Niki's West. It's only three miles from the site of the General Assembly. Join the Church Starting Network, newly commissioned church starters, and anyone interested in church starting for a dinner, fellowship, and listening to one another's stories. Contact New Church Starts Manger, Kyle Tubbs, for details on dinner tickets. Join Samford’s Center for Congregational Resources for a free Alumni and Friends Reception. Stop by and offer a welcome to new CBF Executive Coordinator Paul Baxley.